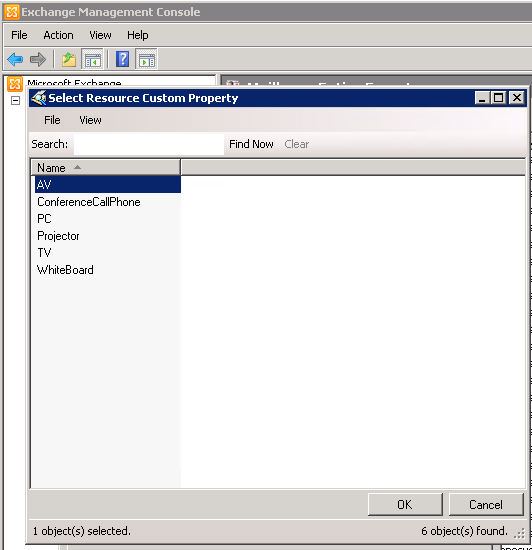 Creating Resource Mailbox Resource Property Schema in Exchange Server 2010. | Chinny Chukwudozie, Cloud Solutions. ← Configuring NAT (Network Address Translation) on a Cisco 1921 Router. 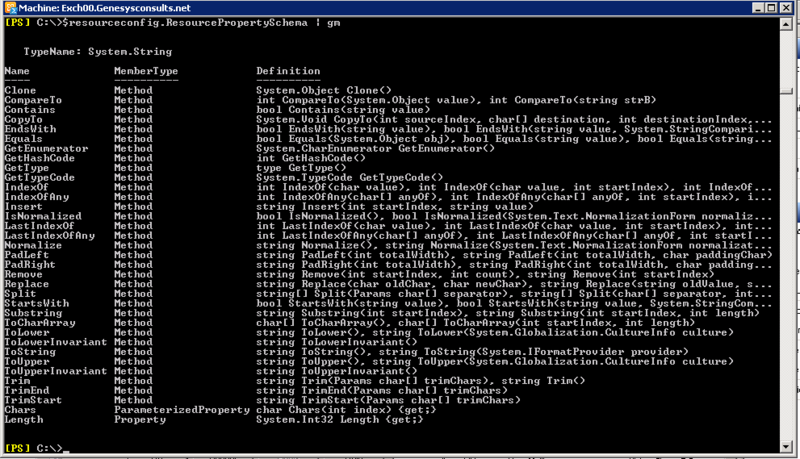 Creating Resource Mailbox Resource Property Schema in Exchange Server 2010. We’ve added a few conference rooms and Equipment mailboxes and I decided to add custom resource properties to distinguish the rooms and equipment . The properties indicate what features are specific to a resource like the conference room conference call phone and equipment model. By default, these properties are not configured for resource mailboxes.The Get-ResourceConfig cmdlet used in the screen shot below indicates that there are no resource properties configured just yet. On a side note though, I was kind of surprised not to find the Add method as a member of the ResourcePropertySchema as indicated in the screenshot below. Maybe I’m missing something. I’ll do some more research on this. But, according to Microsoft documentation, this would be the way to configure Resource mailbox properties. This entry was posted in Exchange 2010 SP2, Exchange Cmdlets, Exchange Management Shell, Microsoft Exchange, PowerShell and tagged Exchange Management Shell, Resource Mailbox. Bookmark the permalink.